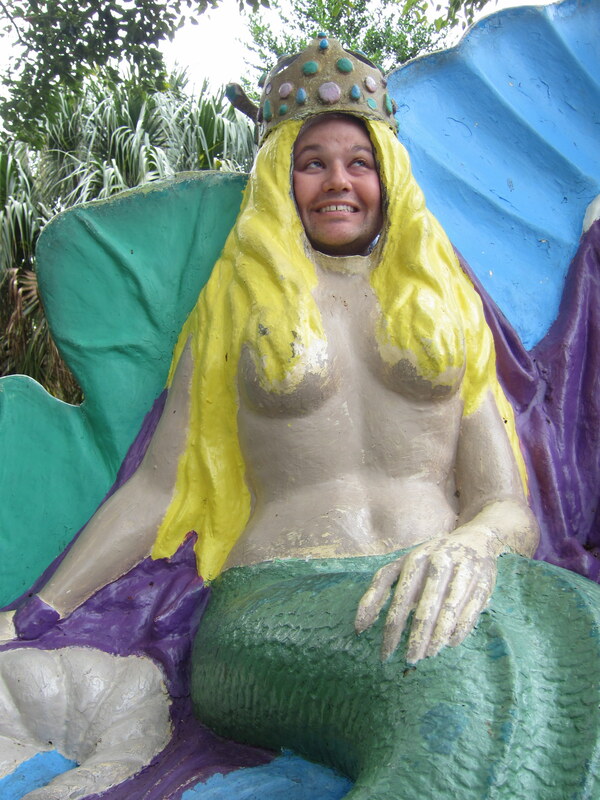 A magical thing happened to Johnny and I this past Christmas: We saw Mermaids! While the story of The Little Mermaid originated all the way in Denmark, we actually did not have to travel very far to live out our little fairy tale. 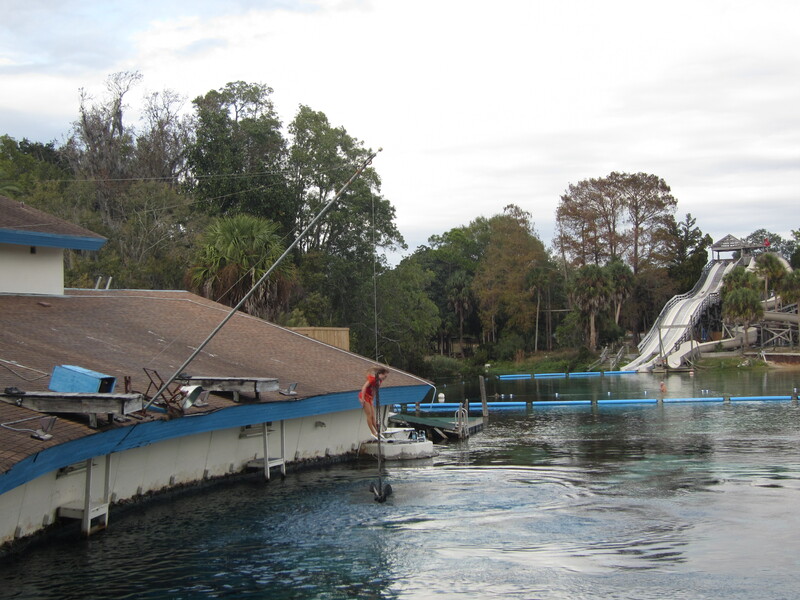 Weeki Wachee Springs State Park is located about an hour north of Tampa. 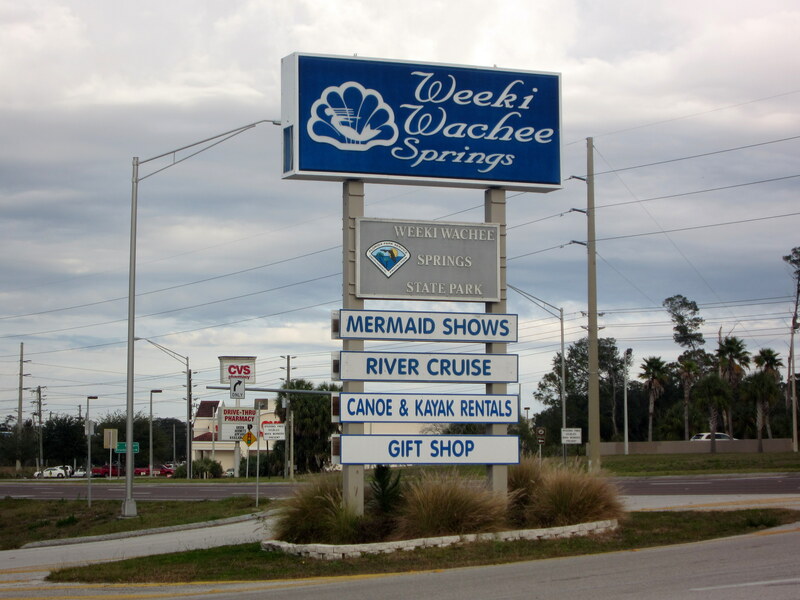 Central west coast Florida is known for its beautiful springs, and Weeki Wachee, which means “little spring” or “winding river” in the Seminole Indian language, is supposed to be the deepest naturally occuring one in the United States. 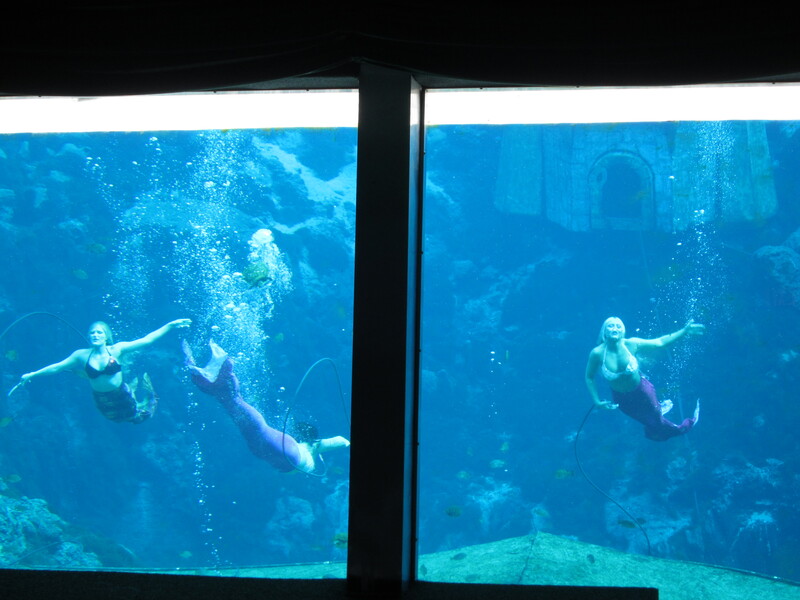 Although Weeki Wachee did not become a state park until 2008, the mermaid shows have been taking place since the 1940’s. 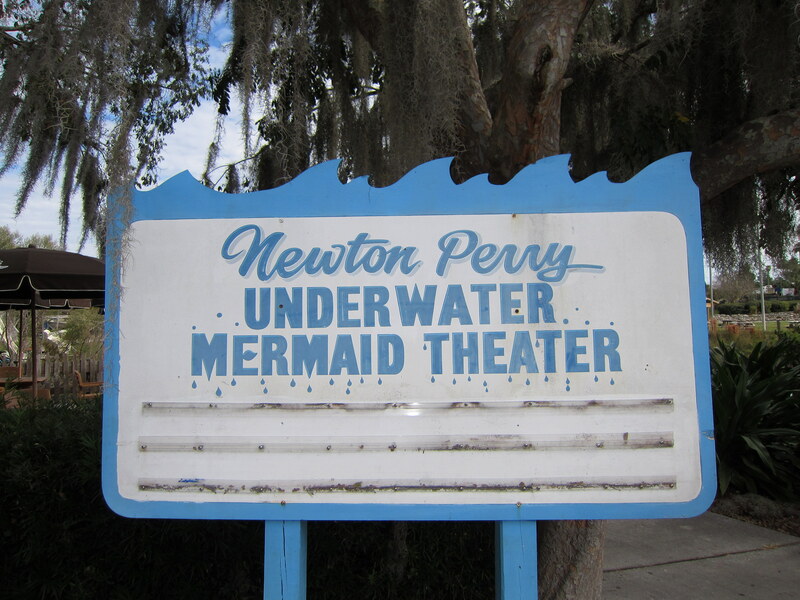 A former U.S. Navy man by the name of Newton Perry trained a few young ladies to swim with air hoses, thus enabling them to do aquatic ballets and perform a few other tricks underwater. 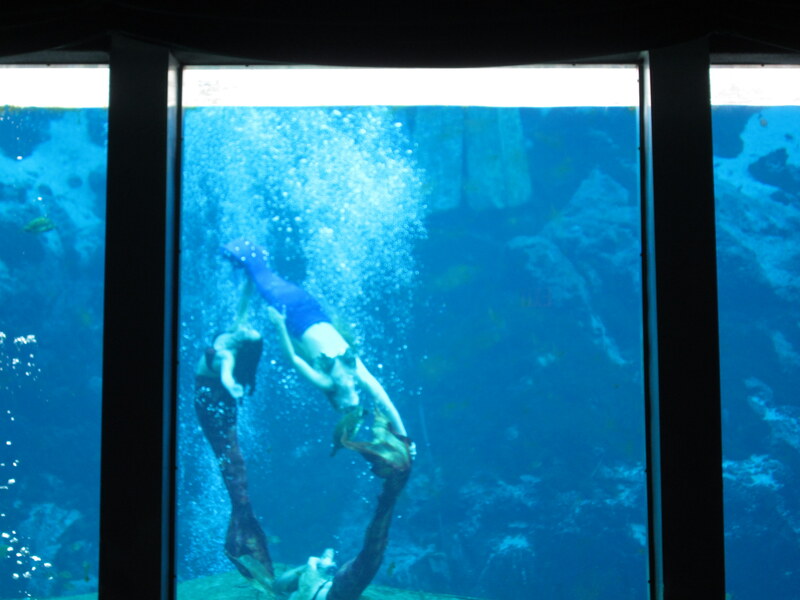 Thanks to Newton Perry, an ex-navy man, visitors are able to enjoy underwater mermaid performances. 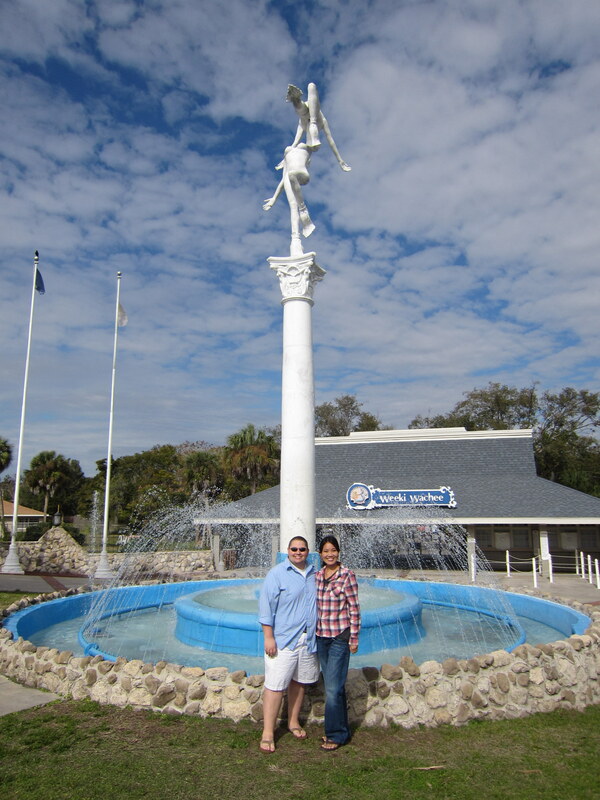 When we arrived at the park, we had about 45 minutes before the next scheduled mermaid show. 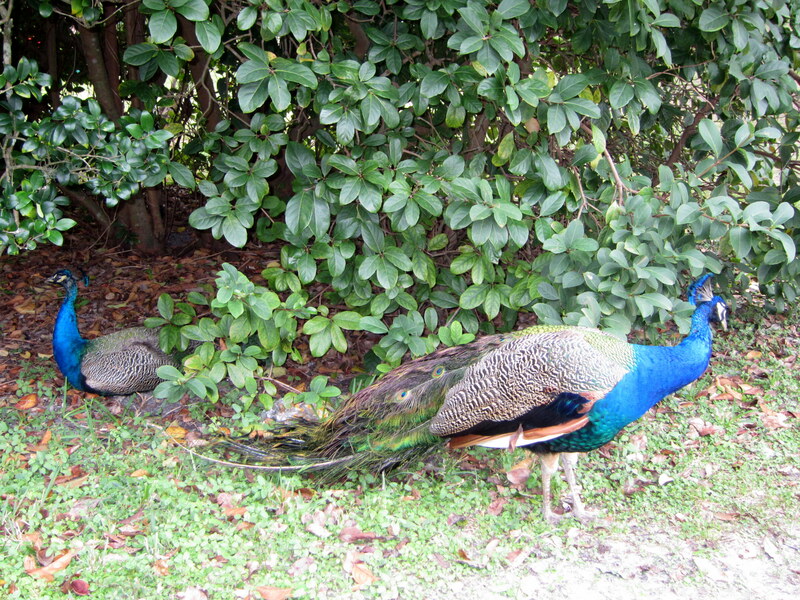 So we wandered around the grounds a little bit, took a few pictures, and had fun following the peacocks around. The production that we happened to catch on that day was called Fish Tails. We tried to get seated at the theater as early as we could. 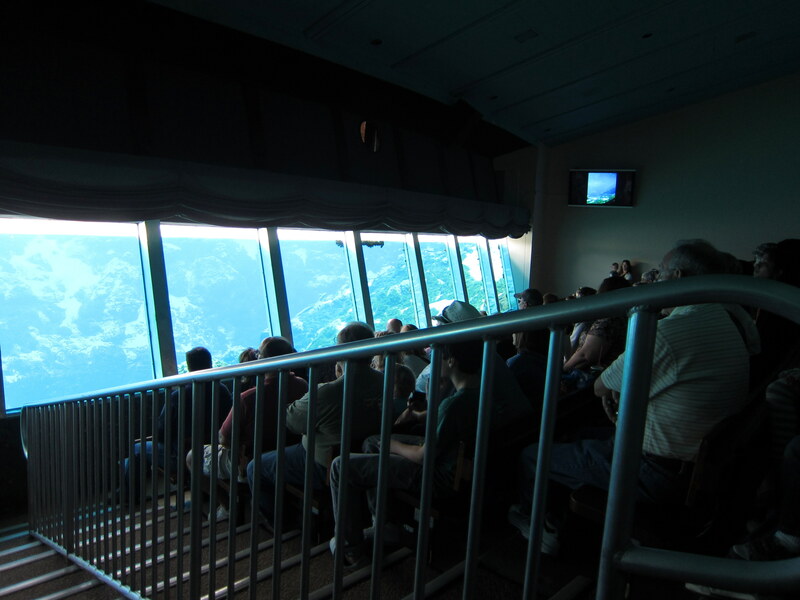 The venue is unique in that it is submerged and has an aquarium-like setting. 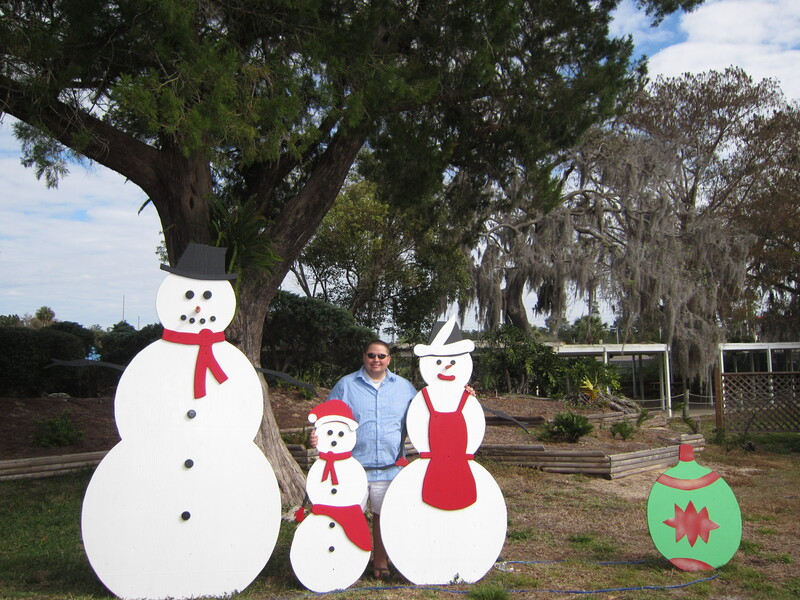 Since it was during the holiday season, the place was packed to its fullest capacity. Watching their graceful and synchronized movements made us feel as if we have been transported to a different world. Additionally, since the performance took place in a natural environment, we could see fish, turtles, and other water creatures swimming side-by-side with the mermaids. During the production, the girls also showed the audience how they dive deep into the water, breathe using the air hose, and drink a bottle of soda underwater. Pretty neat, huh? I almost forgot to tell you… In between scenes, the “aquarium” would release bubbles, instead of always lowering and raising the curtains. We enjoyed the show so much, that time seemed to fly. The finale was a tribute to the United States, with Lee Greenwood’s “Proud To Be An American” playing in the background. 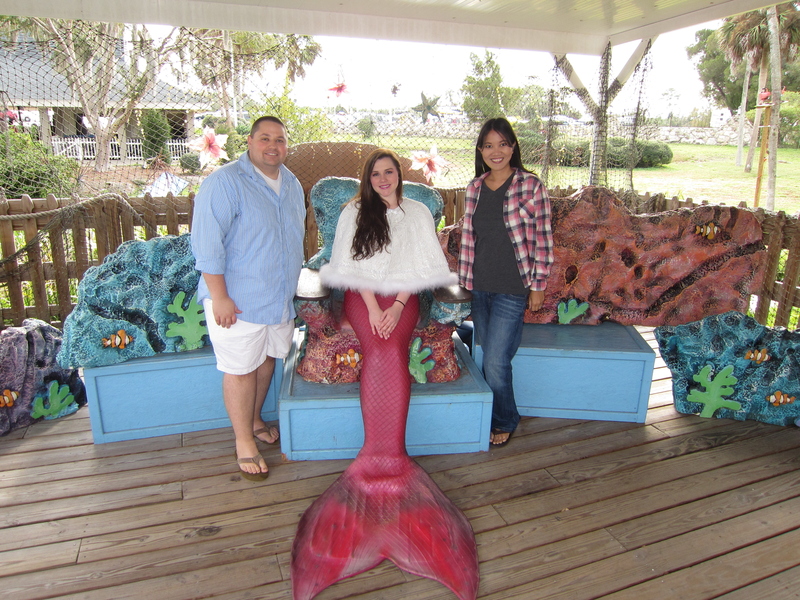 We left the theater quickly, because we didn’t want to pass up the opportunity to have our picture taken with a mermaid. Now that we have satisfied our mermaid curiosity, we could finally move on with the rest of the attractions that the park has to offer. 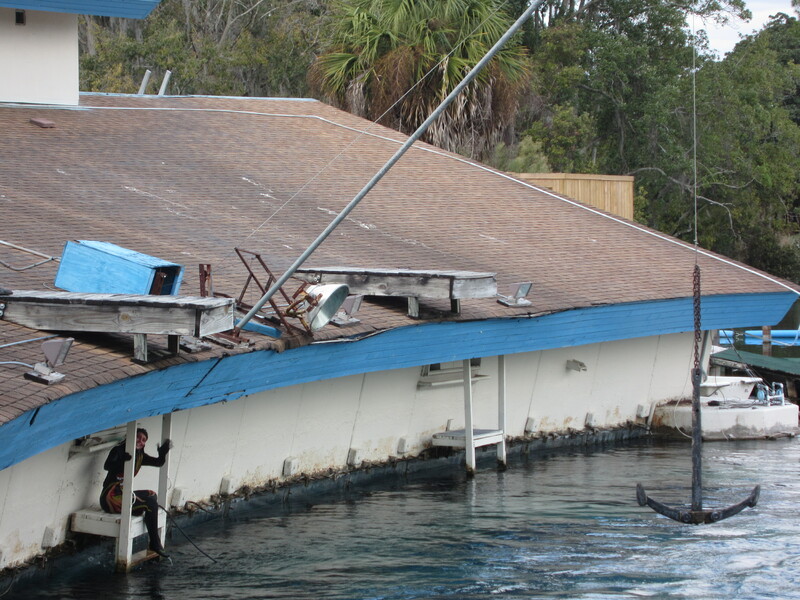 Unfortunately, the waterpark, Buccaneer Bay, was closed due to the winter season. We also missed the animal show/encounter because of scheduling overlap. That left us with the river boat cruise, which runs continuously throughout the day. It was a fairly short ride, a little under 30 minutes, but it was very relaxing and was a good way to get a closer look at the river and its wildlife. 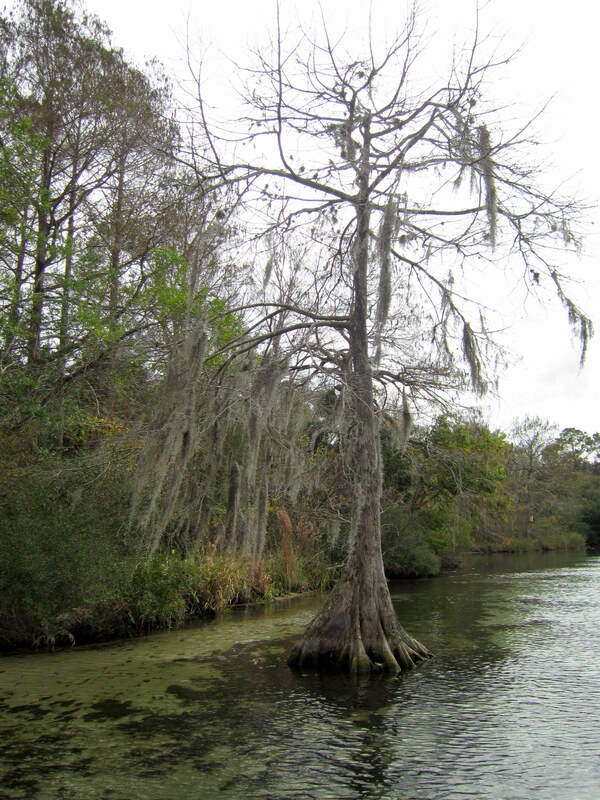 There was a guide on-board who would explain and point to the various native plants and creatures that inhabit the river and its surrounding area. 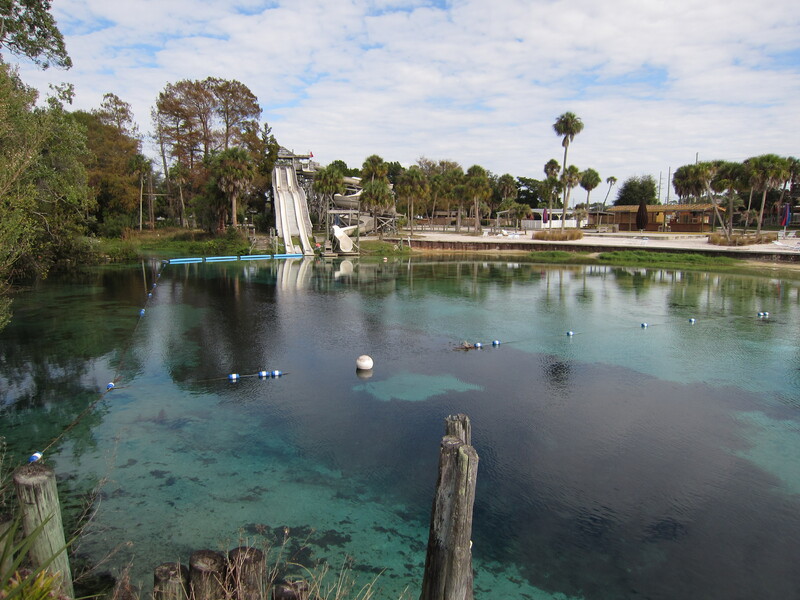 Weeki Wachee is simply gorgeous. The water is so clear, and its temperature hovers around 72F year-round. 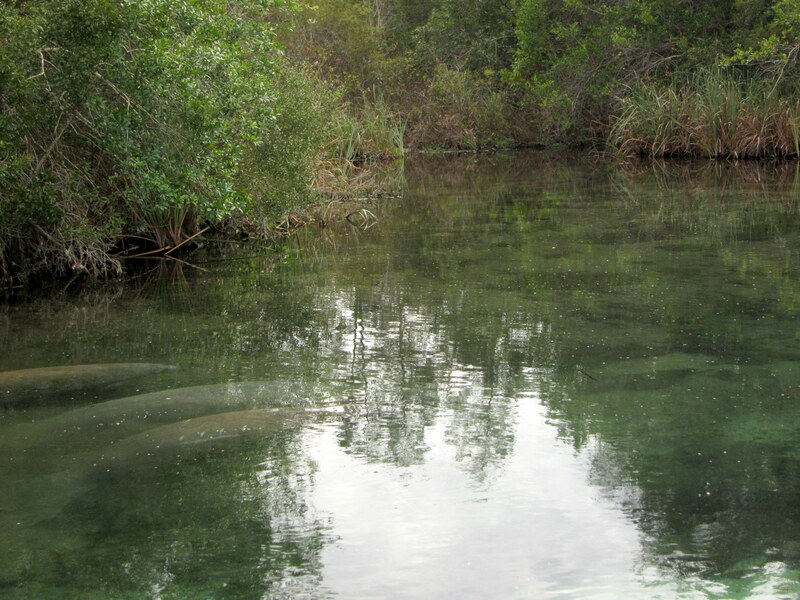 The highlight of our boat ride: Finding a group of manatees! 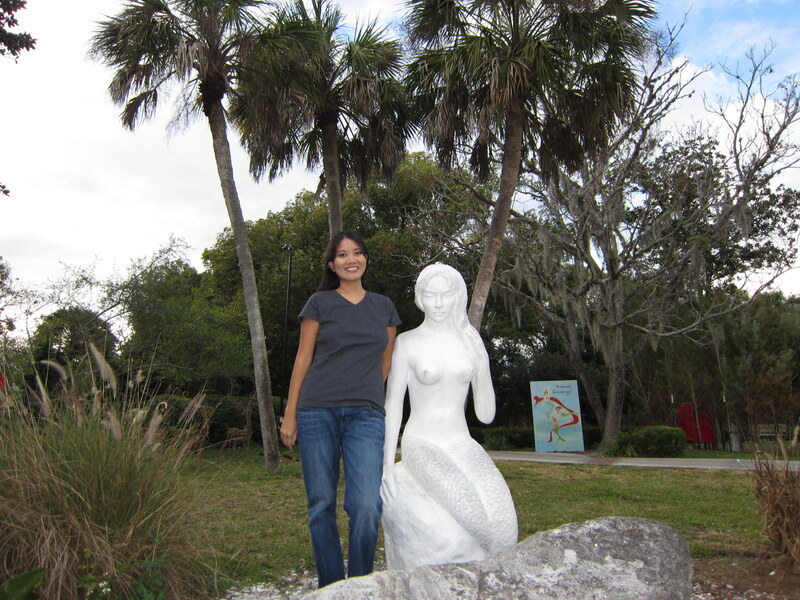 A visit to the Weeki Wachee Springs State Park would not be complete without taking a few pictures of the mermaid statues that are scattered throughout the property. As we were leaving the park, we caught a glimpse of the performers of The Little Mermaid. 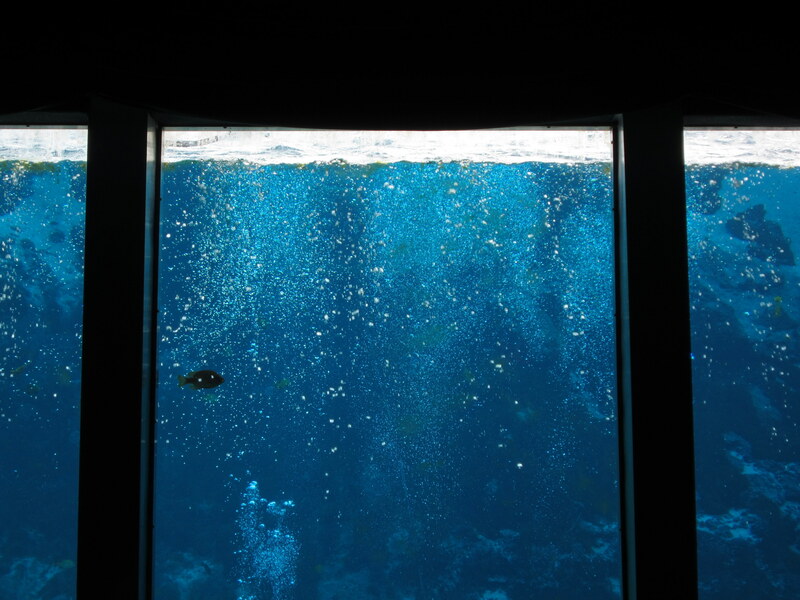 We saw them outside, as they were diving into the underwater theater. 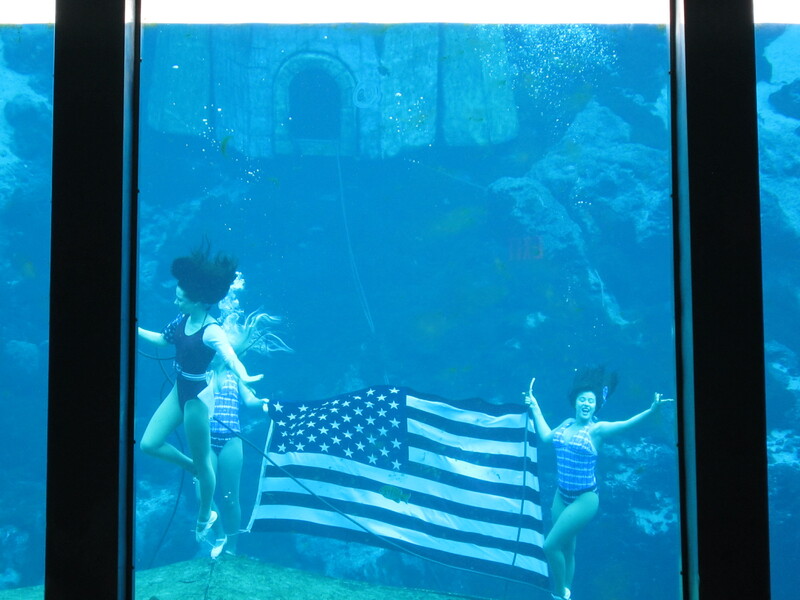 We hope to be back to Weeki Wachee again someday. 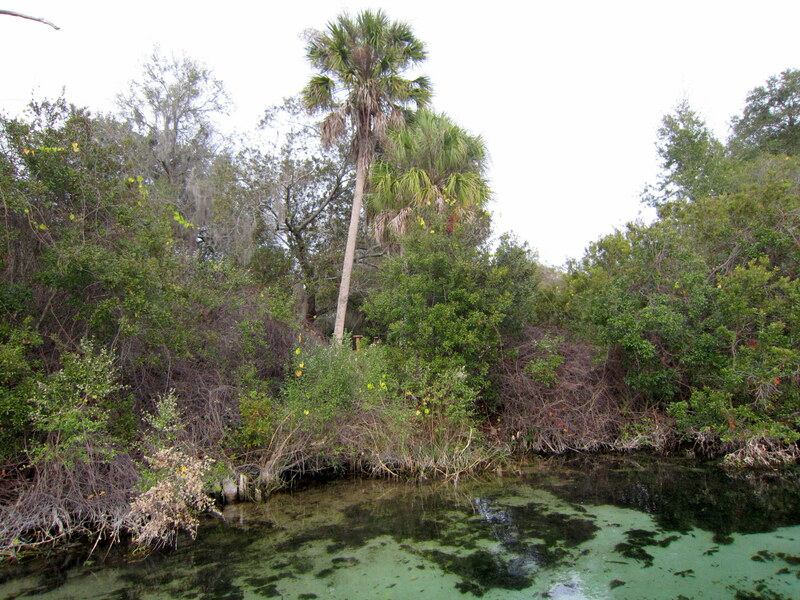 We are also looking forward to more adventures at Florida’s freshwater springs! I am totally sold on this. 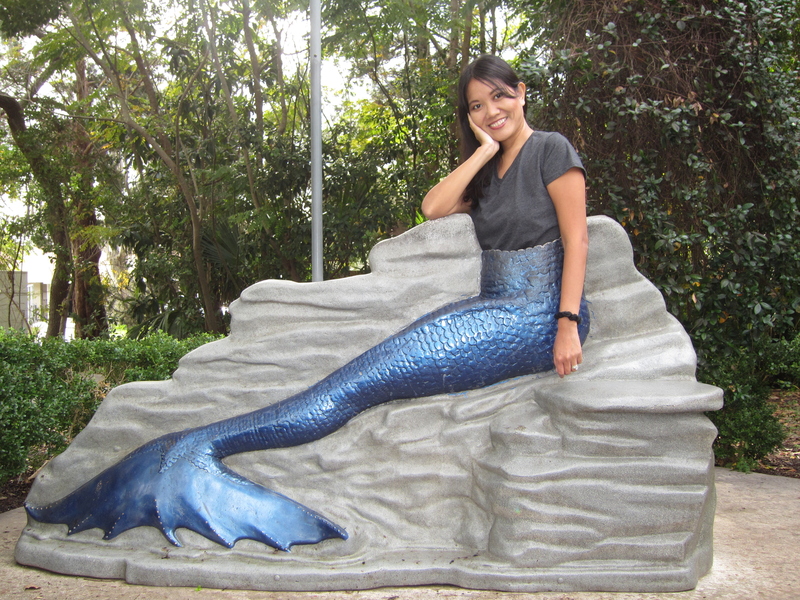 My goal is to swim with the Mermaids!